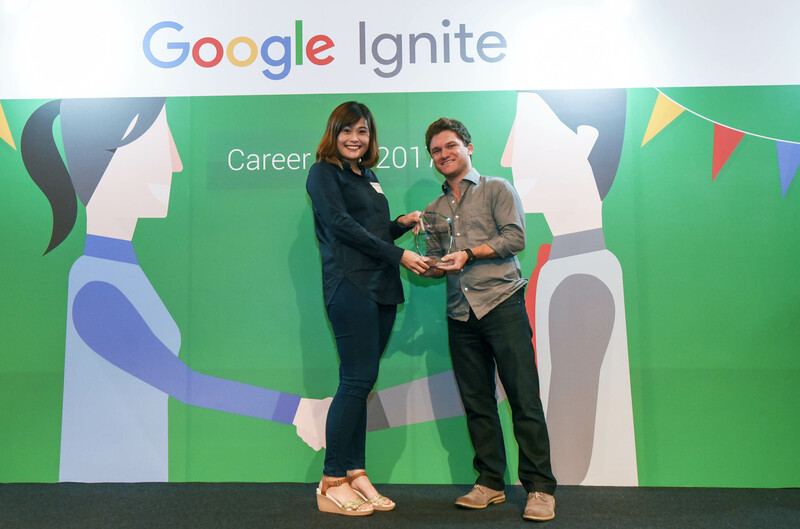 UTAR emerged as a big winner in the Google Ignite Career Fair 2017, winning both the Excellence Award and the Star Award in the Universities category, held on 28 October 2017 at the Double Tree Hilton Hotel, Kuala Lumpur. Present at the career fair were Faculty of Creative Industries’ (FCI) Department of Mass Communication Head Dr Lim Chai Lee, Dr R. Thanaseelen, and FCI lecturers Chew Wee Lee and Long Yew Foo. With the aim to create an engaging platform by allowing employers and students to network and subsequently provide employers with digital talents for their companies, the Google Ignite Career Fair 2017 focused on Google-certified students and top employers from the programme to facilitate applications and conversations regarding internship opportunities within the Google Ignite programme. 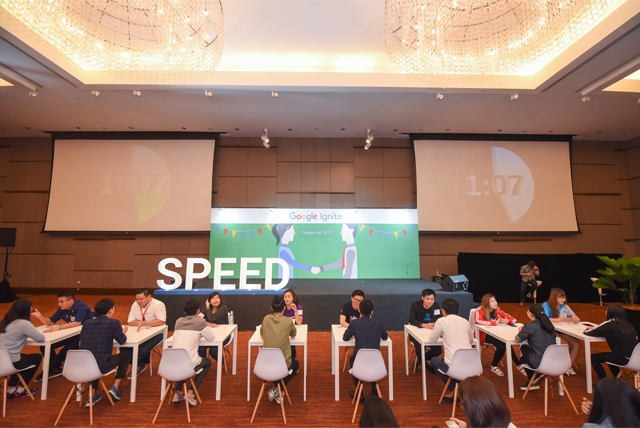 At the career fair, students were required to participate in a speed interview, which provided an interviewing experience for the students to network with their potential employers and create the opportunity for employer partners to engage with more students. Students were given two minutes to pitch to each employer, and the priority was given to the certified-students to speak one-to-one with a mentor from top companies to get advice and to fast track their career. 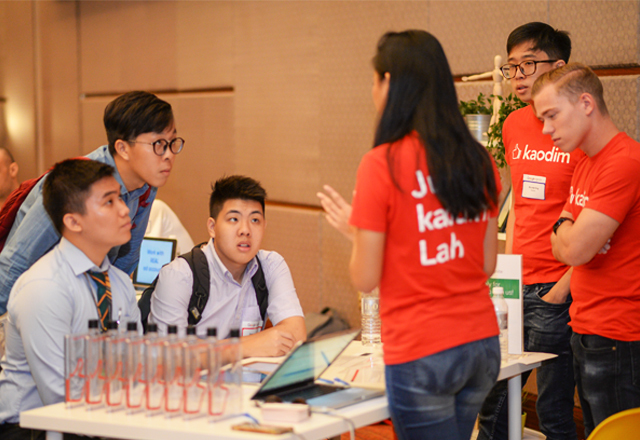 Besides, the students also participated in another activity called 1-on-1 Career Mentoring, where the students were given a total of 15 minutes to have an informal chat and a 1-on-1 session with the employers from a wide range of industries and companies to get career insights, industry insights, job search help and career assessment. The Excellence Award recognises the institution with the highest number of Google-certified students from the programme. 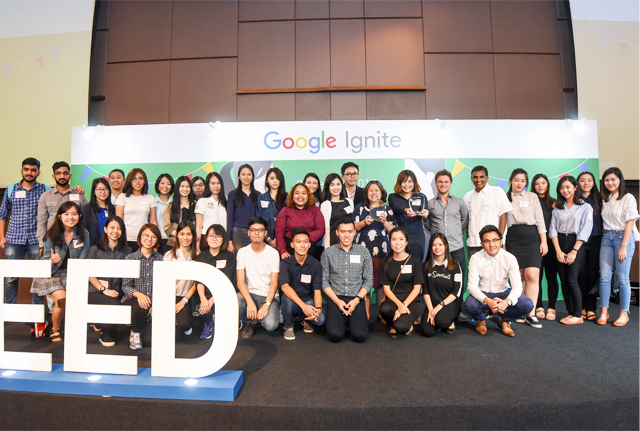 A total of 640 UTAR students, out of 1,430 undergraduate university students in Malaysia, had successfully completed the Google Ignite programme and passed the required examinations. Furthermore, with the Google certification, the students get recognition in digital marketing which will help them greatly in their job seeking when they graduate. 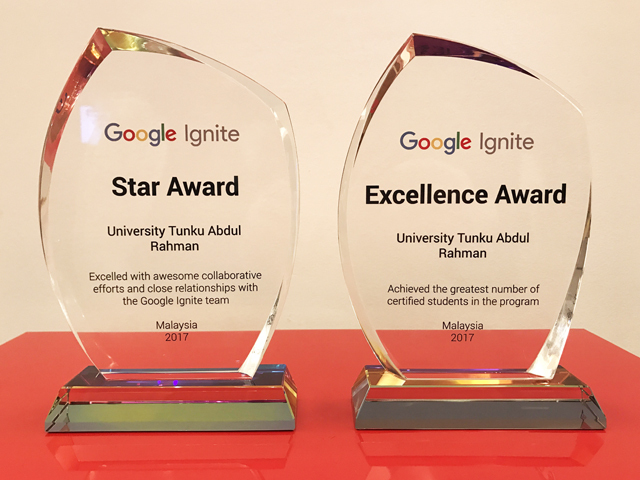 Apart from that, UTAR also won the Star Award for the institution of higher learning which has excelled in its collaborative efforts and close relationships with the Google Ignite team. In addition, UTAR won against five other participating institutions of higher learning which included Universiti Teknologi Mara (UiTM), Inti International University (INTI), Monash University, Multimedia University (MMU) and Tunku Abdul Rahman University College (TAR UC). As the main coordinator for UTAR, Lim encouraged the new students to participate in this programme, to learn about digital marketing, have networking session with potential employers, and enjoy the advantages they can benefit from this programme. Lim also thanked UTAR for working closely together to encourage the students and facilitate them in completing the Google Ignite programme.